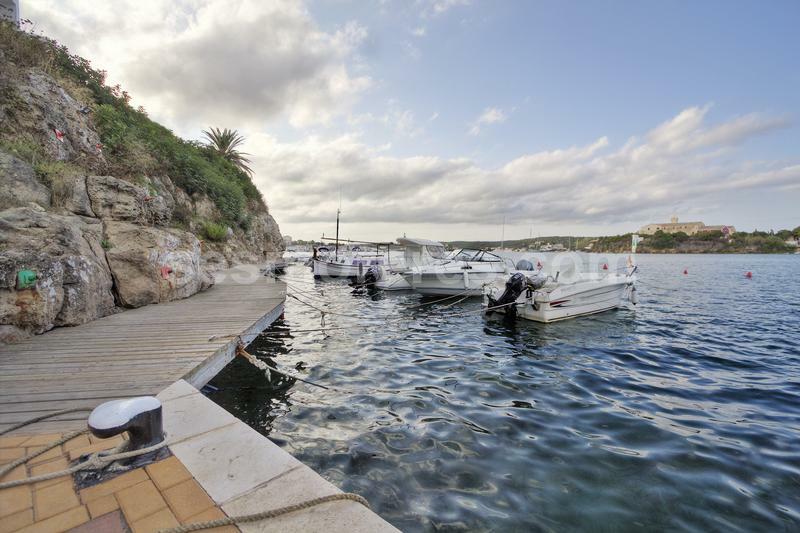 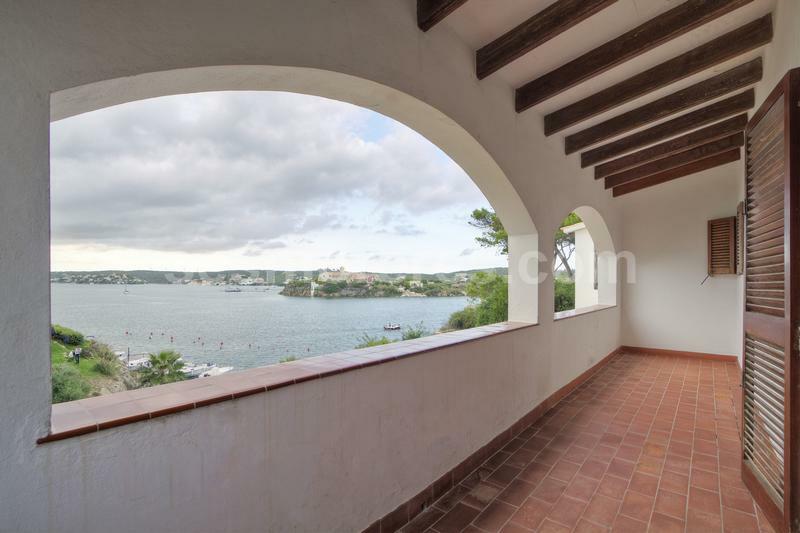 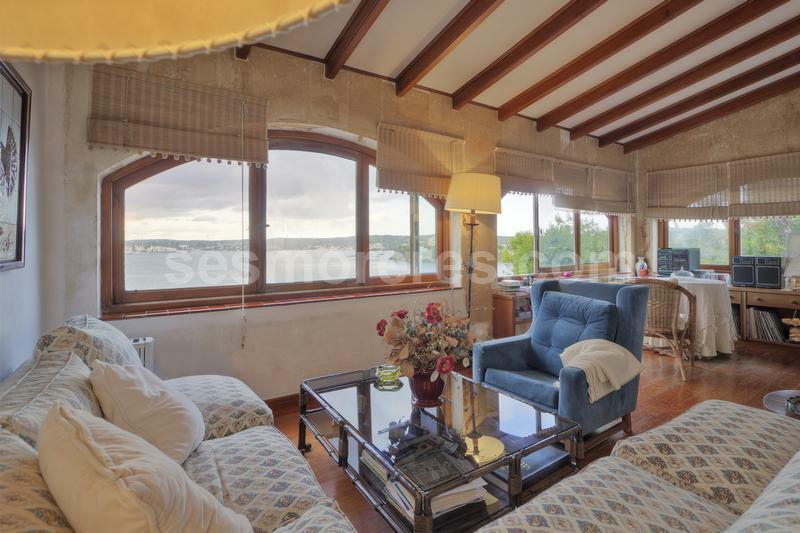 With magnificent views across the harbour from most parts of the house, this property enjoys a unique and privileged position with direct access to a quay and moorings below. 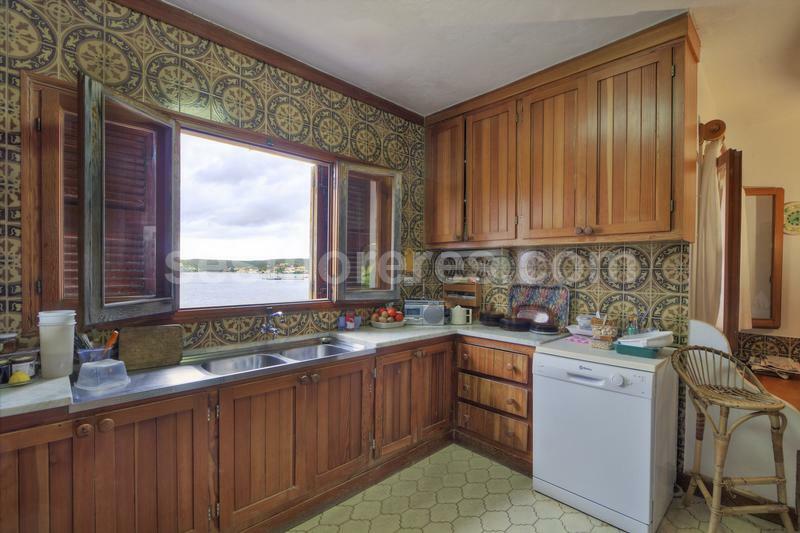 The property would benefit from some updating, but offers great potential for an extraordinary home. 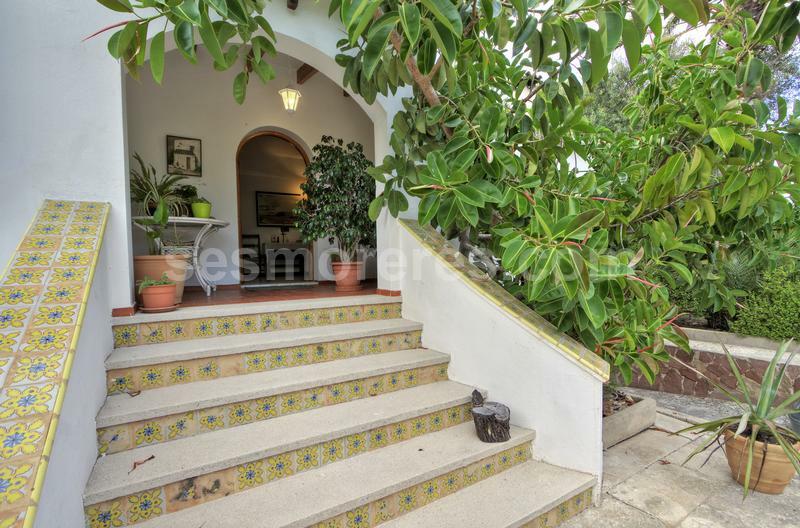 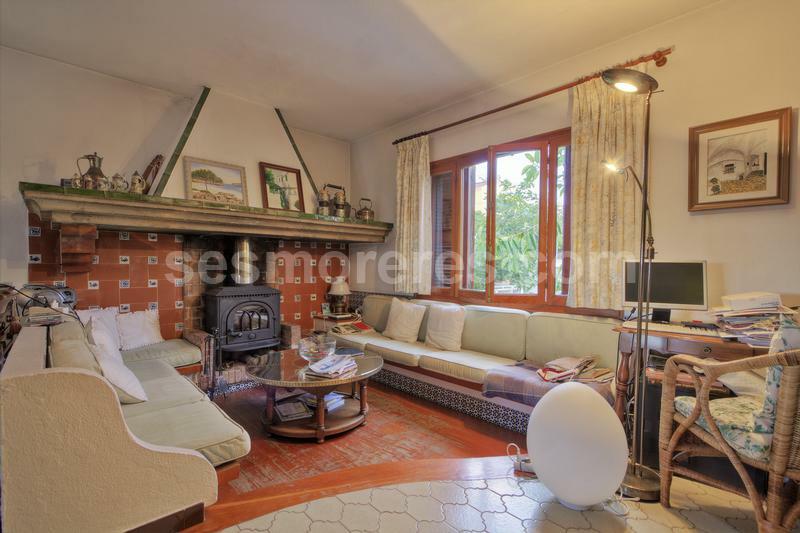 There are various outside sitting areas and terraces with different views on a large plot of 1,600 sq m. The house currently provides 3 double bedrooms on the main level with two bathrooms, a cosy lounge with fireplace and dining room leading to an enclosed terrace, a large kitchen with breakfast room and an entrance hall. 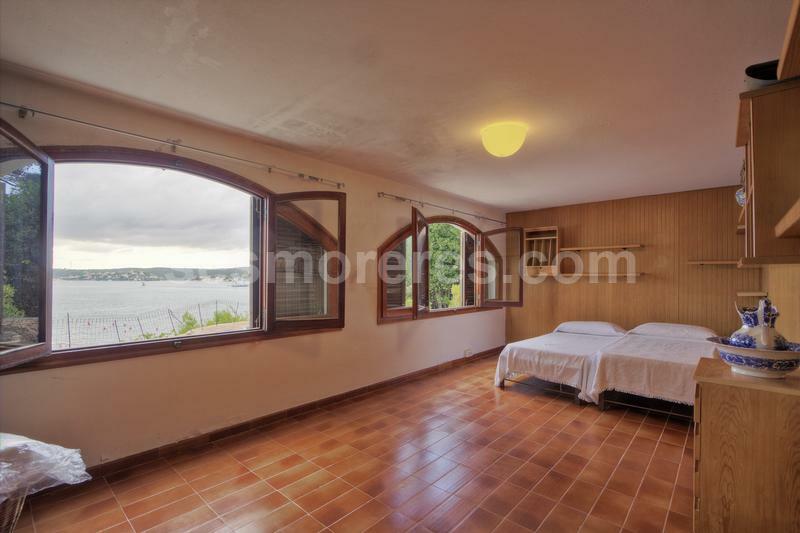 On the lower level is a large playroom/bedroom, spacious double bedroom and bathroom as well as garage and laundry room. 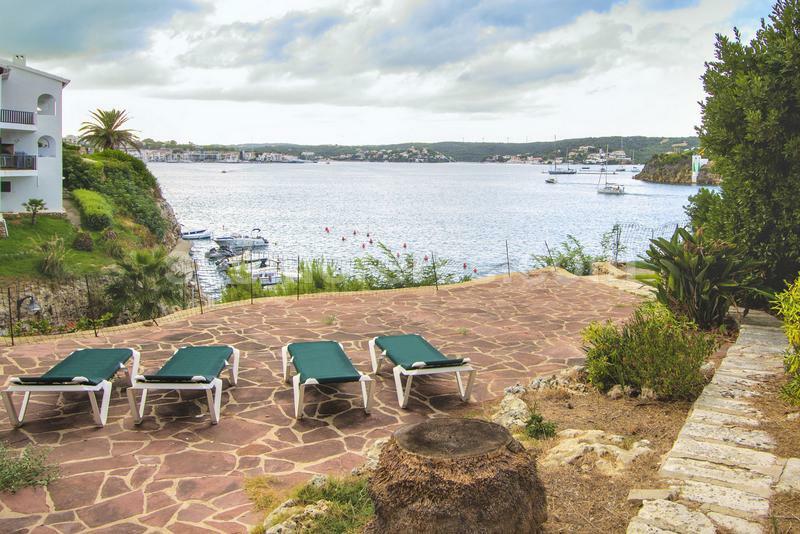 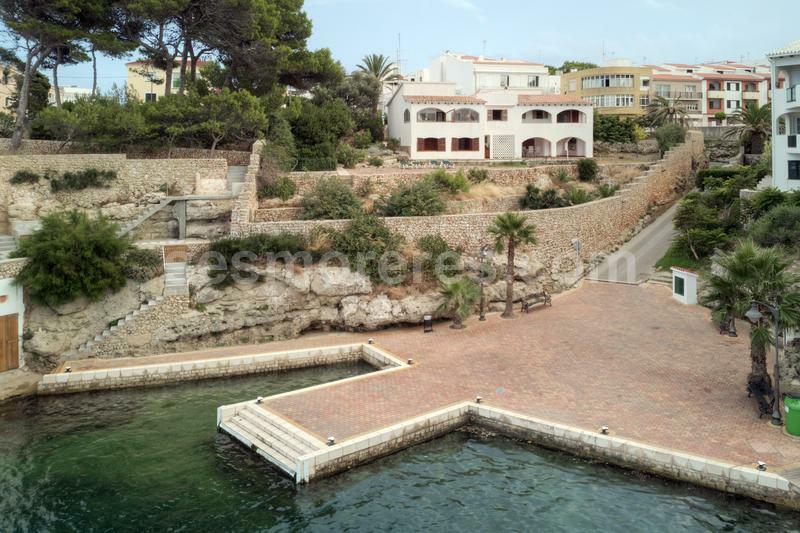 It is a short walk into the town center or the coves of Cala Corp and Calas Fons. 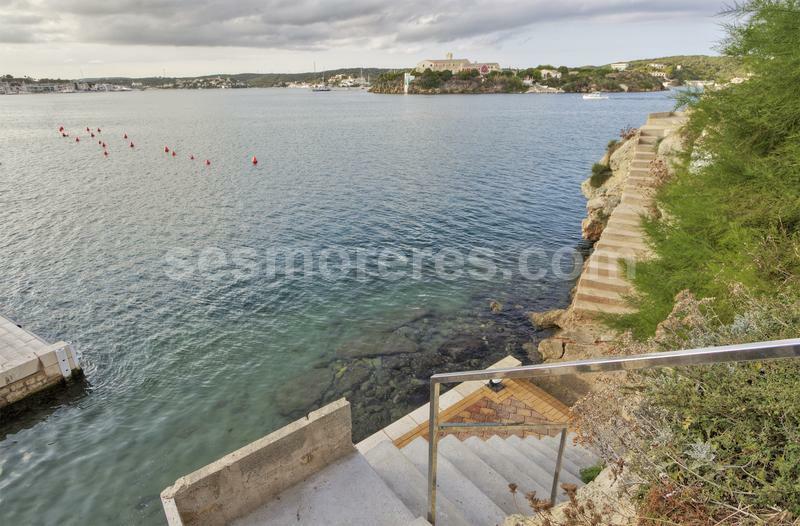 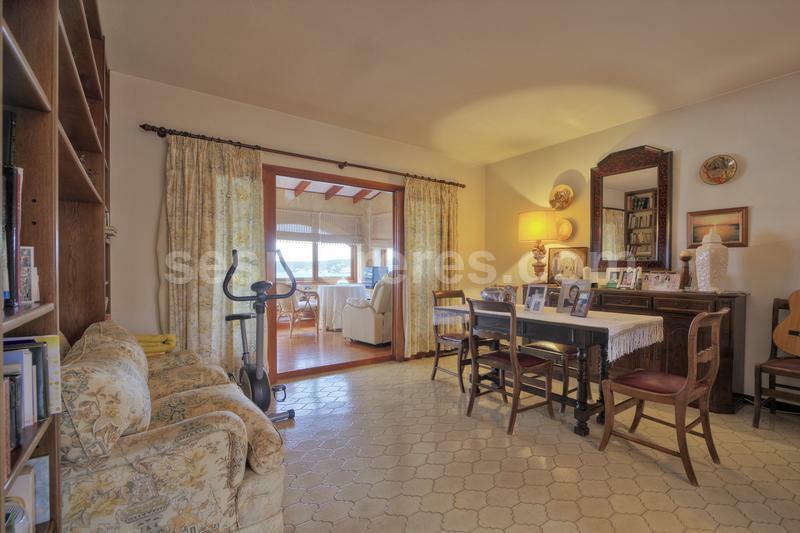 Built surface 262 m², 1652 m² plot, 5 bedrooms (5 double), 3 bathrooms, kitchen, laundry, dining room, terrace, garden, garage, construction year, fire place, sunny, front line, sea view.